For most college students, the summer is a time of work or fun. The last thing on their minds is attending more classes, but for some students, going to college over the summer makes a lot of sense. They may need to retake a class they failed, catch up on classes to graduate on time, take classes to complete the requirements for a double major, or squeeze in extra classes to graduate early. Whatever the reason for attending, there are some ways to help find money to pay for summer college classes. Here are a few things you will want to keep in mind. As with financial aid during the standard academic year, you must be a U.S. citizen or eligible noncitizen, not have any existing federal student loans in default, and be maintaining satisfactory academic progress to even qualify for help during the summer. Find out if your summer classes can be covered under your current financial aid package. Ask your college what you need to do to qualify for any special scholarships or grants that might be available, how many credits you need to take, whether you can take them at a school near your home and still receive credit, if there are work-study funds available for the summer semester, and if there are any special deadlines you need to meet to be eligible for additional amounts of financial aid. 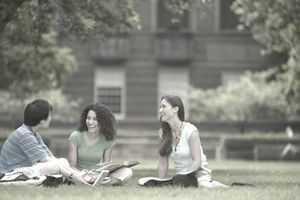 July 1 is considered the start of the new academic year in most cases, but some colleges do operate on a different semester breakdown. If you are currently in college you have probably already filed the FAFSA for your next year of school, but check to be sure. If you haven’t submitted your FAFSA yet, you might need to do some quick paperwork to get qualified. In any case, ask the financial aid office just to be sure they have the right year’s form for you, and that it is complete. Some forms of financial aid have a cap on the amount of money they will pay you over the course of an academic year or your academic lifetime. Additional aid granted for summer classes could trip up your financial aid eligibility in other ways and might cause you to need more student loans than you originally anticipated. Parents and students may have calculated a yearly budget based on the student attending a certain number of classes for eight or nine months and working three to four months. Adding extra expenses for classes, books, and transportation, and removing a source of income, could have a negative impact on those projections. If your school offers loans for summer sessions, be sure to carefully read the fine print. It never hurts to continue the scholarship search, even for summer classes. Ask the financial aid office if they know about any special programs that are available only to summer school students. Students planning a summer semester abroad should also be sure to look into additional scholarship opportunities to help cover the extra expenses involved. If you must borrow money to pay for summer college classes, be sure to use the same process you use during the regular school year. Start with any available federal student loans if you have not yet met your borrowing limit, and then research your private student loan options very carefully. You’ll also need to add any amounts borrowed to your running total, so you can estimate how much your debt load and monthly payments will be upon graduation. You don’t want to borrow more than you will be able to repay, so make sure this class is worth the investment. Summer school can be a great option to help some students get more out of college. Just make sure it is an option that makes financial sense and academic sense, and that it doesn’t do more financial harm than good. Expenses can add up very quickly that can take a much longer time to repay than anticipated. It can even take away from financial aid for the next year. Does a Gap Year Affect Financial Aid?